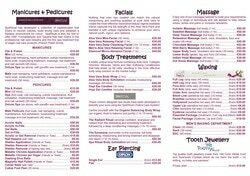 Run by fully qualified mature beauty therapist and holistic masseur Karen Harvey, Beauty with Aloe offers a variety of treatments from essential body maintenance to pampering and luxury treats. With a one-to-one personal service, Karen and her team can tailor make any package of treatments to suit your requirements. Located in the heart of Ayia Napa, next to the main square, Beauty with Aloe has expanded to offer a range of Barber and hairdressing services as well as waxing, facials, nails, brows and lashes, make-up and massages. 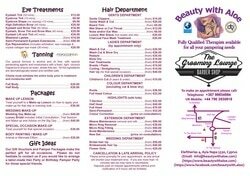 Wedding and gift packages and vouchers also available! 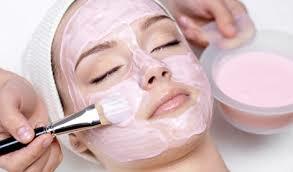 ​We offer a wide range of organic and vegan treatments ranging from Mini Facials to Full Body treatments and Massages. Why not treat yourself to a Relaxing Facial using our range of aloe vera products, or a Full Body Chocolate, or Wild Berry Massage, or for the ultimate pamber one of our SpaRitual Body Wrap treatments. 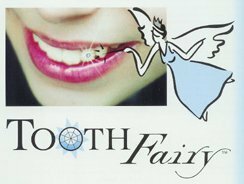 ​Our treatments include Manicures and Pedicures from as basic as a File and Polish to a Luxury Spa Treatment on both male and female clients. We also do Acrylic and Gel nails, Shellac application, NSI Pro Polish application, as well as Metallic Chrome, Magnetic, Caviar, Dashing Diva techniques to name but a few. We also offer a Callus Foot Peel treament to help remove that annoying hard skin from your feet, leaving your feet lovely and soft. This can also be combined with a File and Polish. 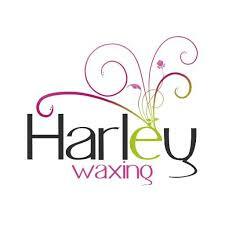 Harley Wax uses only the finest resins, natural ingredients and aromatherapy oils. Harley's Hot Wax has a low temperature formula that removes hair as short as 1mm. It is perfect for sensitive and stubborn hair and is ideal for intimate and facial waxing on both men and women. With Harley Wax you can expect more than just a wax, you can expect a nourishing skin treatment. We offer a wide range of eye treatments, including Eye Lash and Brow Tinting, Threading, Eye Lash Perming (using the traditional rollers) or the new Lash Lift method (using silicone eye shields). 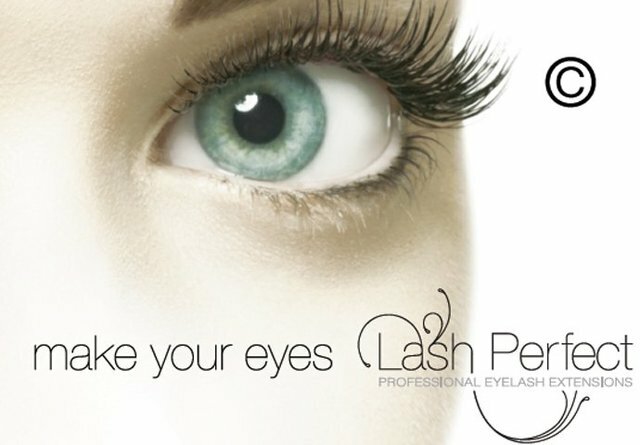 We also offer every kind of lash extension for every kind of occasion. Cluster Lashes (or Weekend Lashes) create full, thick lashes. Semi Permanent Lashes are recommended for those who want a longer term solution, with natural and dramatic options available. We can also provide Special Occasion or Bridal Make-Up. Why not treat yourself to a Make-Up Lession showing you how to apply your make-up for that special occasion. ​Gents, our qualified Barber can take care of all your barbering needs from a Beard Trim to a full Restyle, plus Nose and Ear Hair Removal, a Charcoal Facial or a Luxury Wet Shave. Our ladies department provides everything from a quick Trim to Cutting, Colouring and Styling Hair. We can also provide Bridal Hair or "Hair Up" for that special occasion. Please note that the ladies hair department is by appointment only.